On an afternoon when football sometimes took second place behind the current concerns of the West Ham fans, it was Burnley who took the points with a 3-0 win courtesy of an opening goal from Ashley Barnes and two to follow from Chris Wood. Barnes, being watched by the Austrian coach, scored for a third successive game for the first time since he netted in all of Brighton’s last four games as they won promotion to the Championship and he was playing alongside Chris Wood too. Wood’s impact was from the bench in the last half hour. He set up Barnes for his stunning strike that gave us the lead and then helped himself to two goals as Burnley won the game comfortably and it is no surprise to see the pair come out on top in both the man of the match vote and the player ratings. Barnes won a second successive man of the match vote. Last week he polled over 50%, this time he fell just short with 49% of the vote with Wood winning a 26% share to take second place. Goalkeeper Nick Pope, who made two crucial first half saves, was third with 8% whilst 5% of the vote won fourth place for Stephen Ward who had a major attacking impact in the second half. The two strikers swapped places in the player ratings. Wood was the winner with a rating of 8.71 out of 10, ahead of Barnes who scored 8.44. Pope was again third with a rating of 7.85 but Matt Lowton replaced his fellow full back by taking fourth place. It was Lowton’s pass that sent Wood on his way to set up the opener for Barnes and he had a rating of 7.74 out of 10. 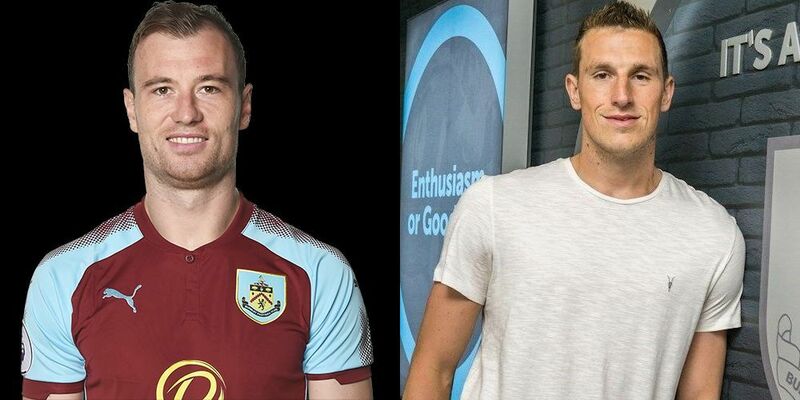 Both Barnes and Wood have won eight points towards the Up the Clarets Player of the Year with four points for Pope and one point each for Lowton and Ward. It’s made little difference at the top end of the table with Steven Defour still leading Ben Mee by three points although a couple more to performances from Barnes could see him start to challenge at the top. The next vote is still over two weeks away with the Clarets having game either this coming weekend or the following week. The man of the match vote will be back on 31st March for the West Brom game. The West Ham result is below, followed by the current player of the year table.